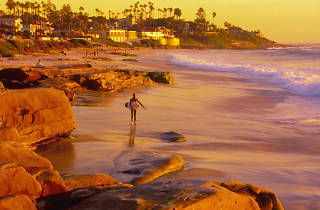 San Diego – located at the southern base of California – opens up quickly and easily to travellers. Balmy weather all-year-round means it’s always a good time to hit up the region’s 70 miles of pristine coastline; and there’s always something new to discover within the city’s many multicultural neighbourhoods. 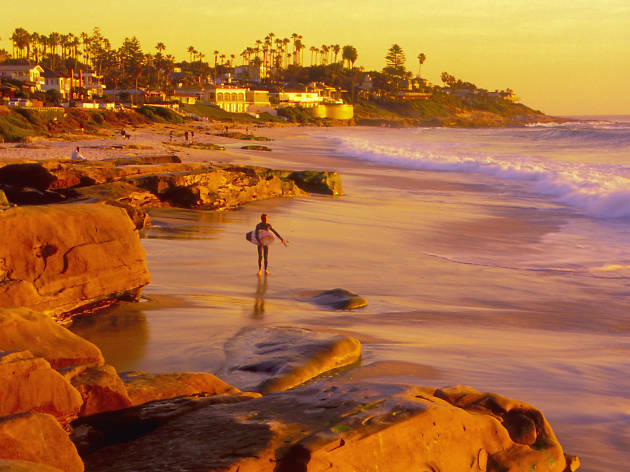 With Mexico less than an hour’s drive down south, San Diego is also the perfect base for a two-nation vacation. For more travel inspo, check out our guides to Santiago, Anaheim and (for somewhere closer to home) Wellington. Start by suspending reality in the glittering seaside village of La Jolla; home to Mediterranean-style mansions overlooking the Pacific ocean, sandy taco joints and the beaches of your dreams. Take it all in from above by paragliding at sunset, hike along jagged coastal cliffs at Torrey Pines Nature Reserve or spot dolphins, seals and sea birds on a kayaking tour through La Jolla Cove. San Diego’s downtown region has gone through a huge transformation in the last decade; what was once a military town is now home to a buzzing urban centre, complete with a historic Gaslamp Quarter packed with restaurants, bars and boutiques. Make sure you venture beyond the well-trodden tourist paths and check out the heart of San Diego’s Hispanic community, Barrio Logan. Here, spend time marvelling at the colourful Chicano Park murals, then delve into the city’s art scene at The Glashaus, where you can watch woodworkers, screen-printers, oil painters, sculptors and jewellers working at this open studio/gallery hybrid. When you’re this close to Baja California (the long, narrow Mexican state hugging the coastline), it would be remiss not to spend a day on the other side of the border. You can hop on the San Diego Trolley light rail and visit the vibrant border town of Tijuana, or book a one-day adventure with the friendly and knowledgeable guides of the Baja Winery Tours. Among their many tour options is a trip down to Puerto Nuevo; a small coastal town famous for its buttery pan-fried lobsters, which you can (and should) enjoy on a balcony overlooking the ocean, sipping a frosty Margarita. In the past, San Diego was arguably best-known for its sprawling zoo and adjacent Balboa Park. These days, it is developing an equally strong reputation for its ‘Cali-Baja’ cuisine; a unique hybrid of Baja Mexican and Californian culinary traditions. 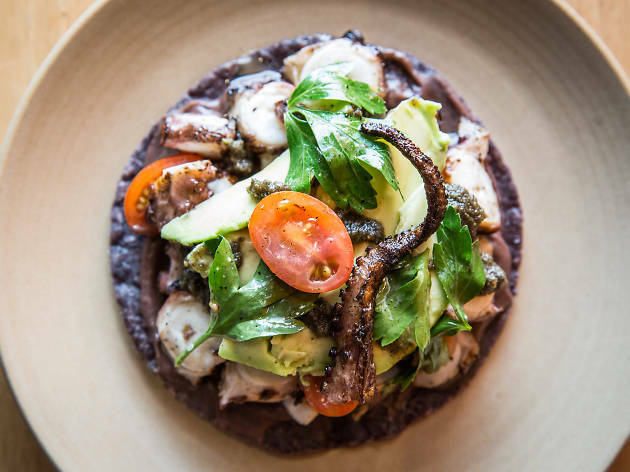 You won’t find a better example than at Galaxy Taco; the casual dining project of San Diego food doyen Trey Foshee. One of the cornerstones of Cali-Baja cuisine is the fish taco; here, it comes fried on a fresh hand-pressed corn tortilla, with a zingy combo of cabbage, pico de gallo (fresh salsa) and creamy chipotle sauce and avocado. San Diego is also famous for its burgeoning craft beer scene. Of the 120+ craft breweries, Ballast Point is a must-visit. Get around their bible-length beer list with a taster flight, and stick around in the generous beer garden for a grilled fish sandwich or spicy shrimp tacos. For a laid-back neighbourhood pub feel, hit up Thorn Street Brewery where families (including their four-legged members) share space with craft beer nerds, all of them eating food truck snacks from the daily rotating selection of multicultural vendors which park outside the brewery. It doesn’t get more chilled out than Estancia La Jolla; a hacienda-style luxury resort located a short drive out of the city centre, featuring rooms with breezy balconies opening up to leafy courtyards. Take a dip in the pool, book a spa appointment and enjoy upscale Mexican cuisine at the resort’s two restaurants. Prefer to stay close to the action? 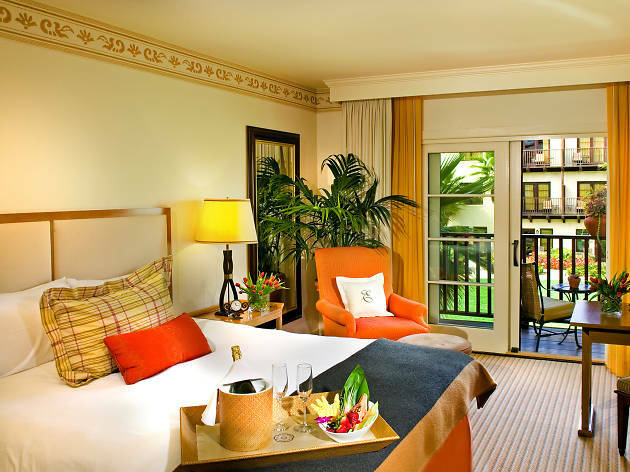 Get the rock star treatment at Hard Rock Hotel in the Gaslamp Quarter, where partying in your colourful, decked-out room is encouraged. 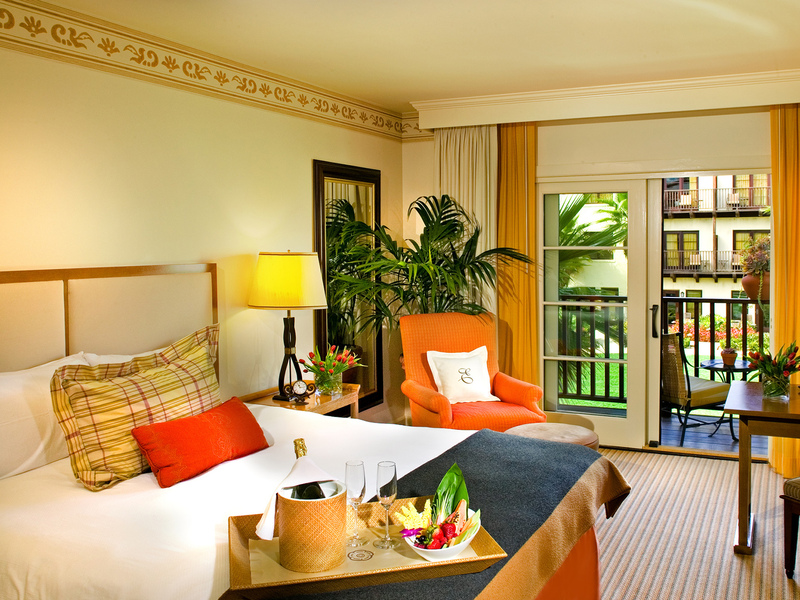 Go to town on the mini bar or head up to the rooftop pool and bar. Qantas flies direct to LAX daily. 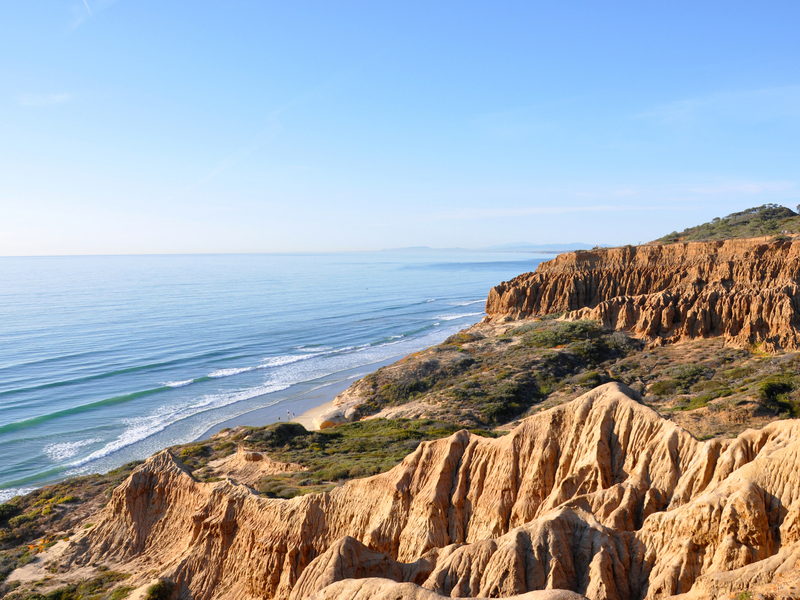 San Diego is a two-hour drive from Los Angeles, and there are also flights available. 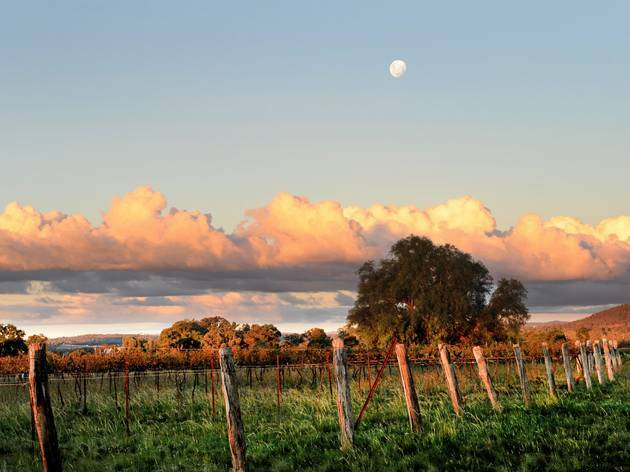 Looking for somewhere closer to home? 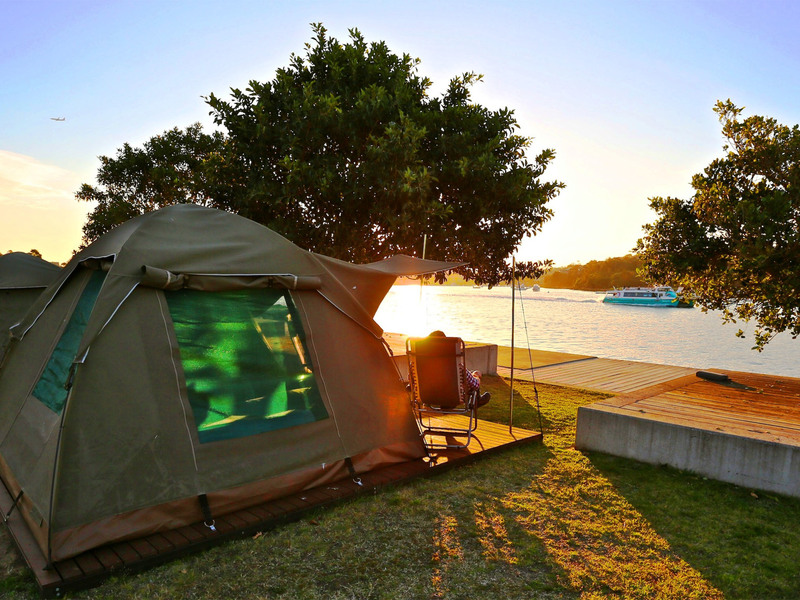 Escape from Sydney to one of NSW's relaxing rural retreats. Check out our edit of the city's best camping sites.